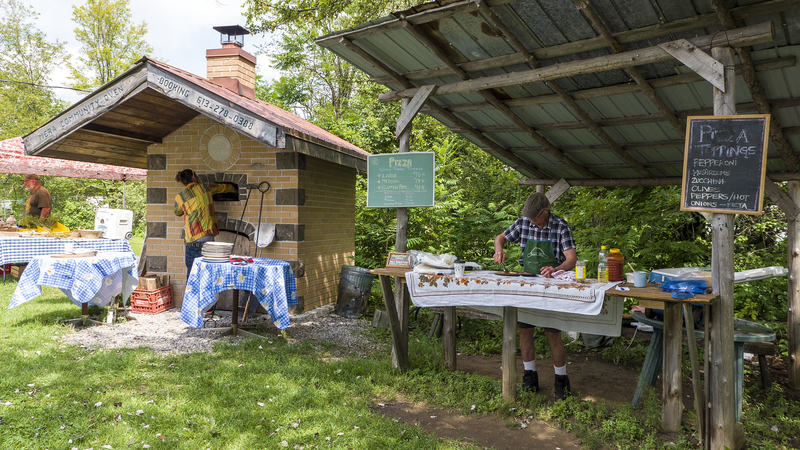 Ontario’s Highlands and Lanark County are the perfect place to #ComeWander. As travellers, we all love to wander. Exploring the obscure. Stumbling upon the unfamiliar. Seeking the unknown. It’s all part of the adventure. 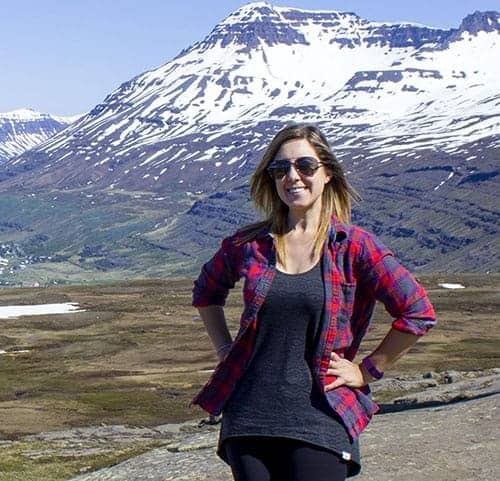 As I discovered, Ontario’s Highlands is a region that will surprise you. 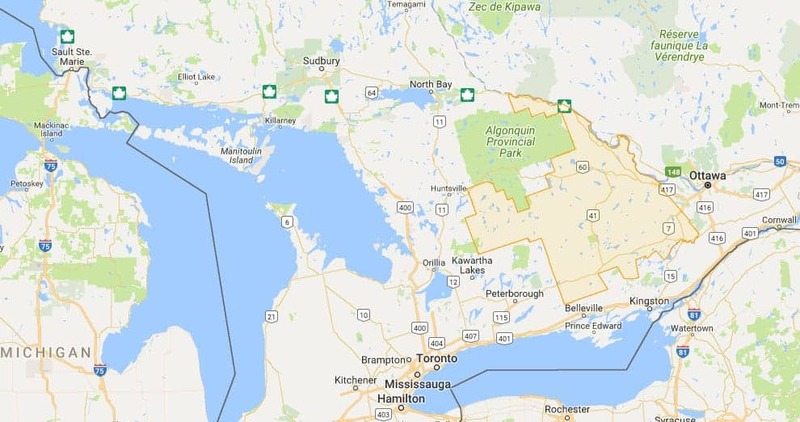 Out of the 13 Regional Tourism Organizations in Ontario, Ontario’s Highlands is the only one that’s completely rural. That means there are no major cities, concrete skylines, or dense smog. This means meandering at your own pace, engaging with the locals, and savouring the enriching and relaxed experiences. You simply must #ComeWander Ontario’s Highlands. What kind of wanderer are you? What do you love most about visiting small towns & communities? It’s actually a pretty massive section of Ontario, Canada. You can see it outlined in orange in the picture above. Essentially, Ontario’s Highlands encompasses a region east of Peterborough, west of Ottawa, and both south and east of Algonquin Provincial Park. More specifically, it’s almost 24,000 square kilometres of unspoiled territory. There are tiny towns, vast wilderness, and unforgettable spaces to wander and explore. With 23,840 square kilometres of space to explore, where do you even start? 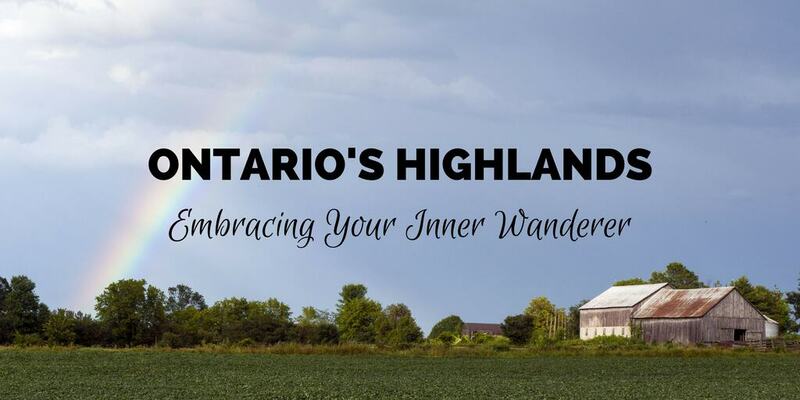 Ontario’s Highlands urges you to Find Your Inner Wanderer by taking their travel personality test. You’ll discover that you fit mostly into one out of five wandering personas. If you take the test before September 15th, 2017, you can win one of five wandering prize packs! Rustic Roamer: Seeks the quiet comfort of small towns. Primary goal is to explore. Creative Cruiser: Experiences that excite curiosity and empower personal growth. Memory Maker: Seeks lasting memories and traditions with loved ones and friends, both old and new. Serenity Seeker: Wandering casually but with purpose, for experiences promoting peace, reflection and rejuvenation. Freedom Finder: Wants to hit the trail or make a big splash to reach new heights. So, what kind of wanderer are you? I took the test and I’m a #CreativeCruiser. While I find that I enjoy many of the ideas expressed in all five categories, I tend to enjoy immersing myself in culture and history for memorable journeys. 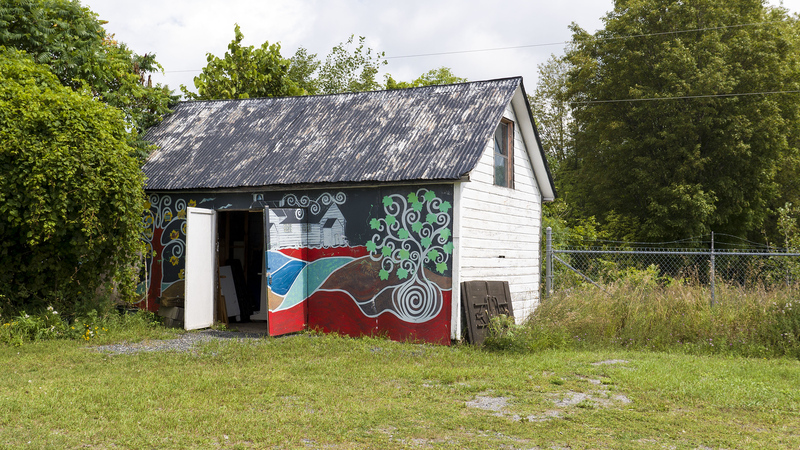 For a Creative Cruiser like myself, Lanark County is the ultimate destination for local culture, history, and immersive adventures. In fact, Lanark County checks off many interests for the Rustic Roamers, Memory Makers, Serenity Seekers, and the Freedom Finders. There’s truly something for everyone here. 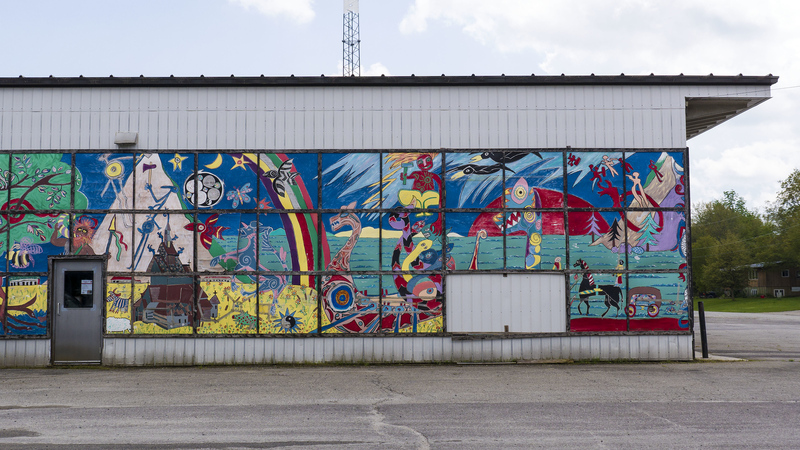 I spent approximately a day and a half in Lanark County with my travel buddy, Lindsay. For someone living in the Toronto area, southern Ontario, eastern Ontario, or New York state, a trip to Lanark County makes the perfect weekend getaway. If you leave on Friday afternoon, you can spend two cozy nights in the region, exploring for a day and a half before driving back home on Sunday evening. 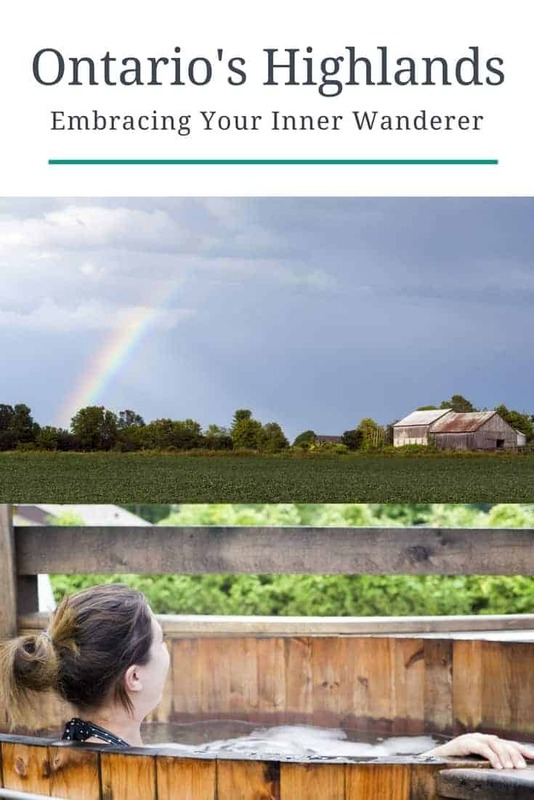 While Lanark County was the ideal girls’ getaway for Lindsay and myself, this itinerary is perfect for couples or even a group of friends. We reached Circa 1894 very late at night, after a treacherous drive through thunderstorms. One of the owners, Donna, waited up for us and made us feel right at home from the moment we walked through the front door. 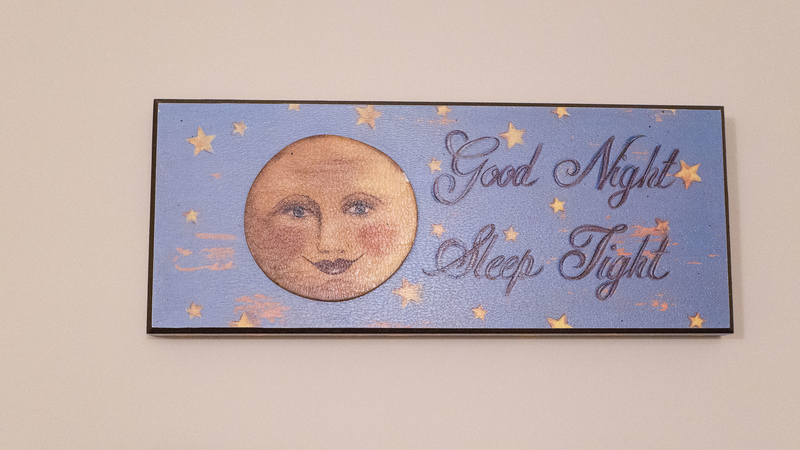 Circa 1894 has a very calming presence, and we settled into our guestrooms for a restful night’s sleep. If you noticed that the building looks like a church, you’re correct. A renovation dream four years in the making, Circa 1894 is a former United Church completely transformed into a bed and breakfast. 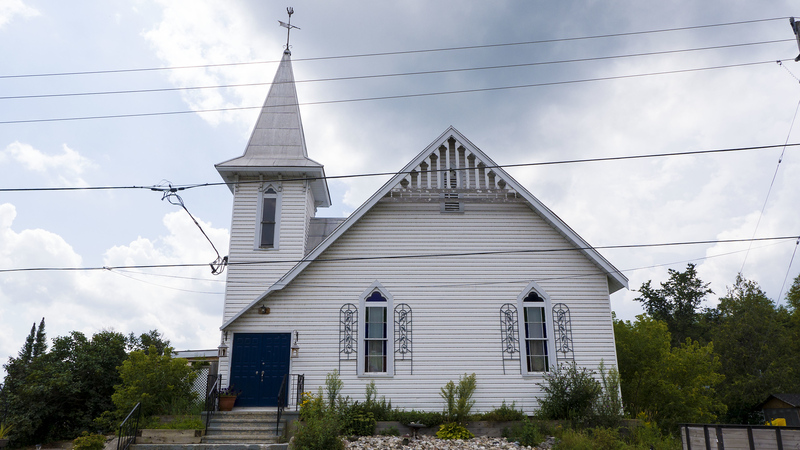 Owners Cam and Donna restored and renovated the church into the beautiful and environmentally sustainable building that it is today. While many of the original windows and wainscoting were kept in tact, other materials were sourced as locally as possible. 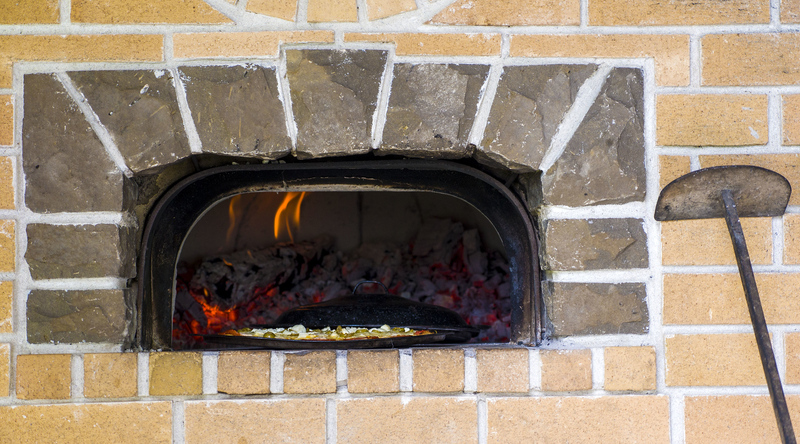 The home exceeds the Energy Star standards for a brand new home, with an annual heating cost of only $700. The shower and sink water from the spa is filtered and reused in the toilets. 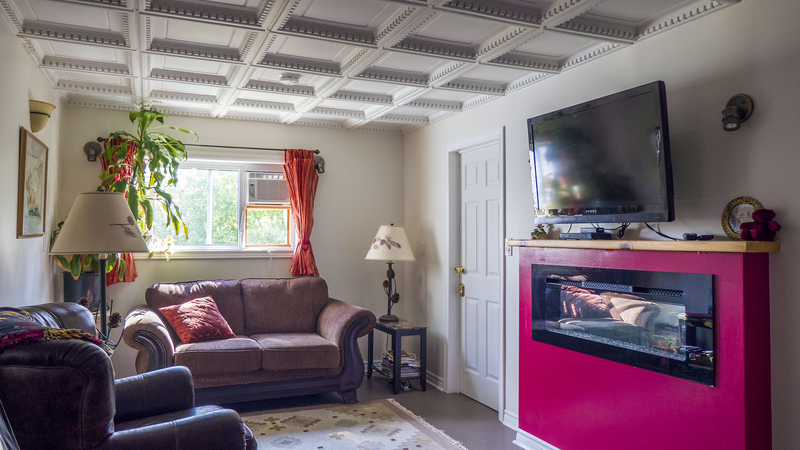 The common room ceiling was recycled from the Royal Ontario Museum. 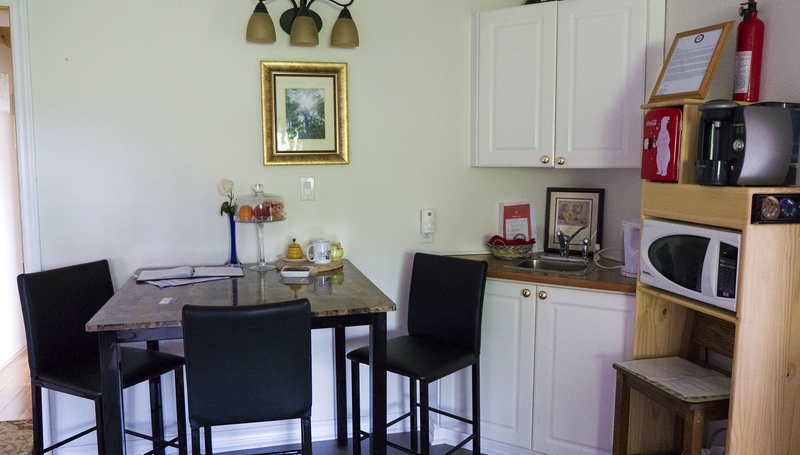 Many fixtures and furniture pieces were reclaimed and re-purposed. 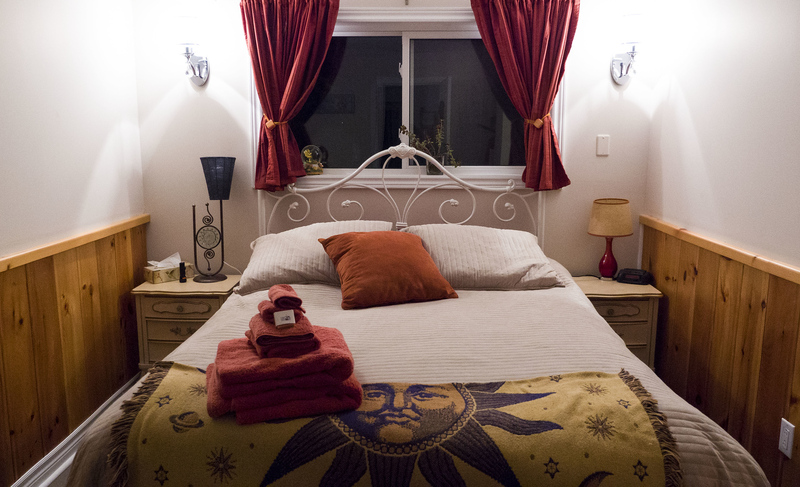 From the B&B stay to the spa, it’s a one of a kind personal wellness sanctuary. I stayed overnight in the Moon Room, while Lindsay slept in the Rose Room. 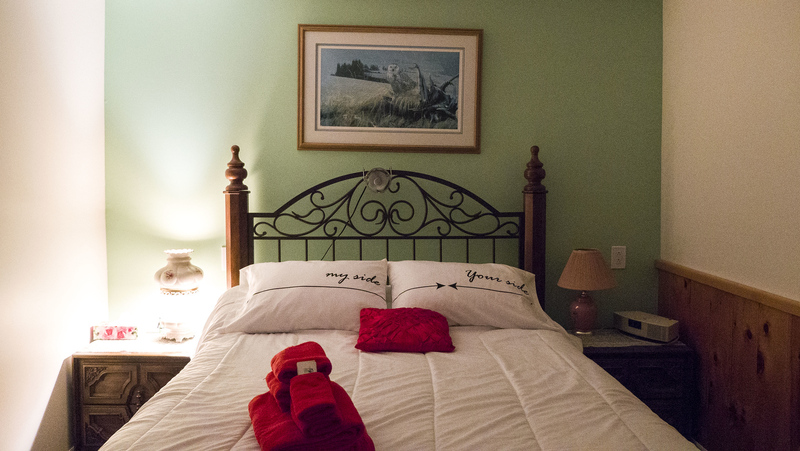 There’s an additional bedroom with two twin beds (which can double as a massage/Reiki room). 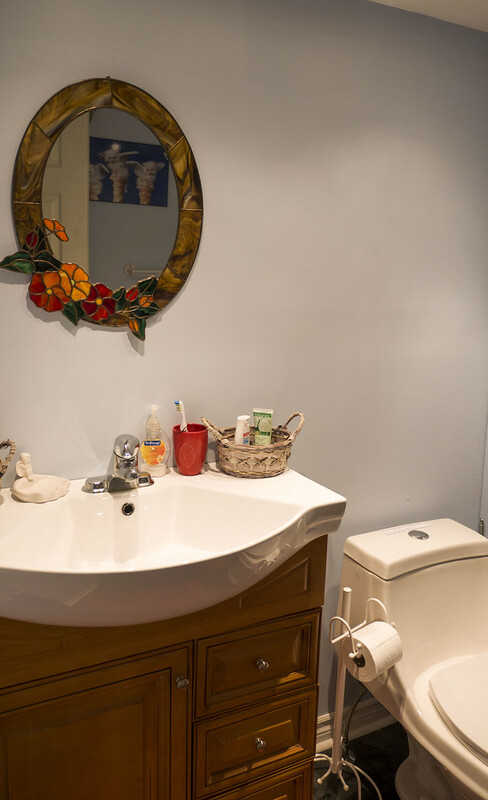 There’s one bathroom closest to the Moon Room and the Rose Room, with additional bathrooms near the spa area. The common area has a couch, a flat screen TV, a kitchen table, and a Tassimo coffee maker with pods. There’s also complimentary WiFi to stay connected. Donna always left out fresh mint water and even vegan brownies upon our arrival. A place with vegan brownies and decent coffee to drink anytime of day? That’s absolutely excellent! Cam and Donna graciously invited us into their home for a scrumptious breakfast each morning. While there are a few traditional breakfast menus, Donna is highly skilled in vegan cooking and prepared a plant-based breakfast each morning. If you have any kind of dietary restriction or preference, you’ll be able to dine here without any issues. It’s hard to imagine that this space was once a church. 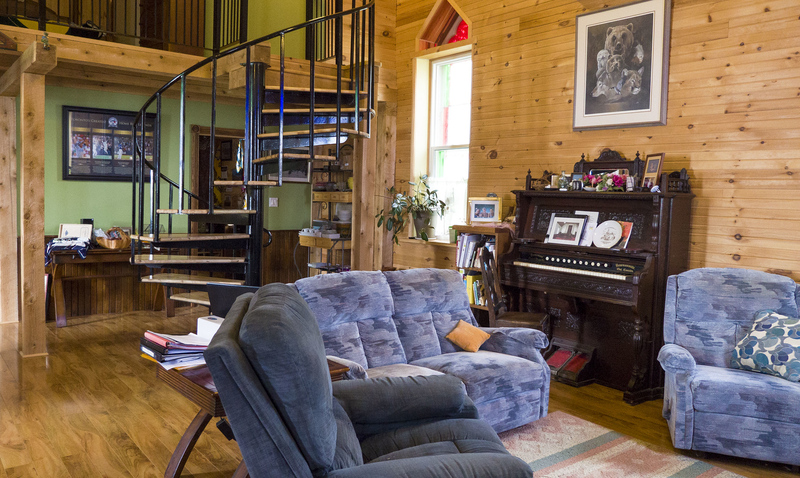 With the addition of a spiral staircase, a second floor, a living space and a grand kitchenette, it really feels like it’s always been a home. 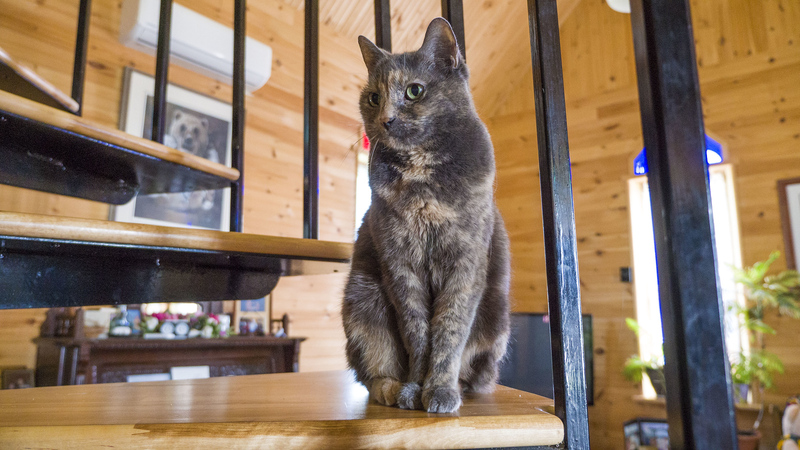 On the second morning of our stay, we even met their friendly kitty who seemed to adore posing for photographs. On the first day, we ate a vegan quiche with a fruit smoothie. 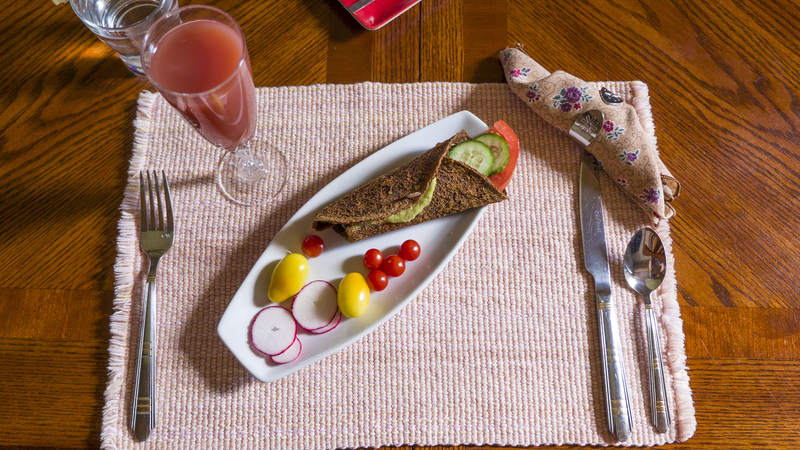 For the breakfast on our second day, I savoured my vegan raw wrap stuffed with guacamole and fresh vegetables. There was an ample supply of coffee, tea, and great conversations. Even though the food was so yummy, I enjoyed connecting with Cam and Donna over breakfast the most. They both have truly intriguing histories and stories about the construction of Circa 1894. Perhaps it’s the #CreativeCruiser in me that loves becoming immersed in personal tales. 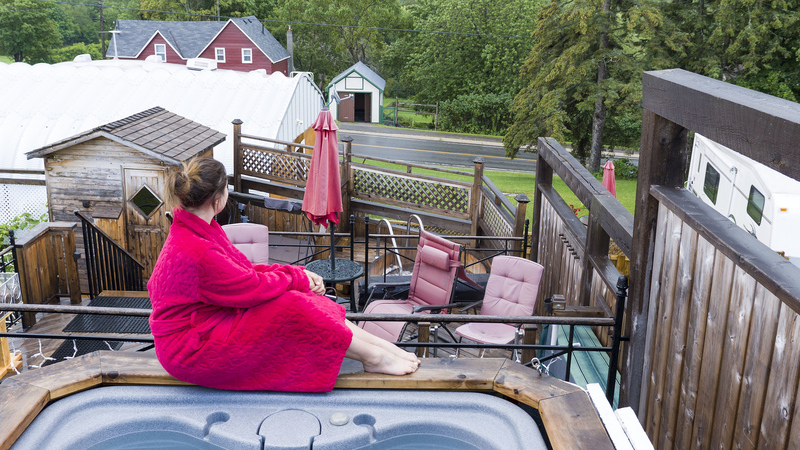 The Circa 1894 Day Spa is open to the public and guests of the B&B can access the spa for no additional cost. 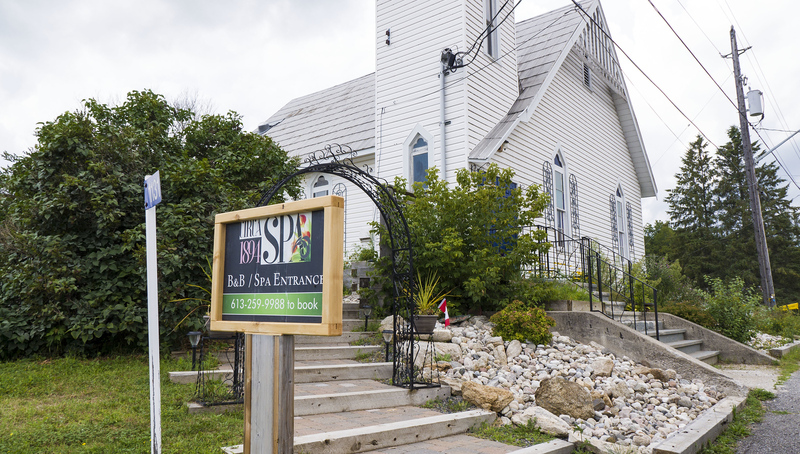 Those staying at the B&B can use the spa between 8-10am before it opens to the public, too. 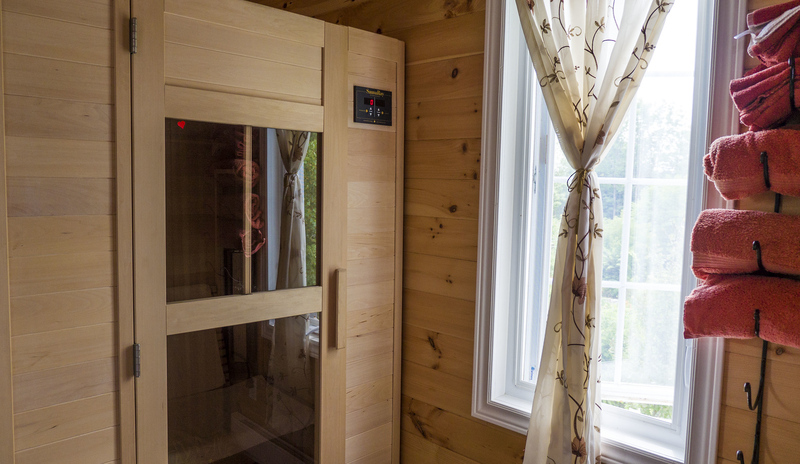 It features two hot tubs, one cold tub, three saunas, and a quiet room. 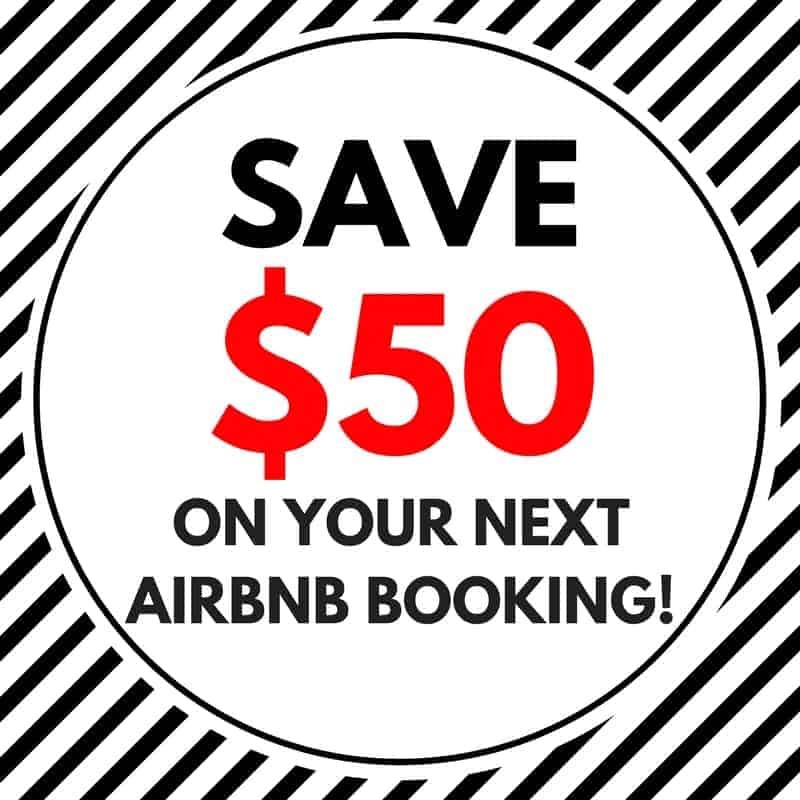 Prices start at $20 hourly and the cost is reduced after the first hour, so a 4-hour visit costs only $40 per person. This day spa truly exemplifies the European experience of alternating between cold and hot to rejuvenate the body and mind. The upper deck features a cool tub, where it’s recommended that you take the plunge between sessions in the hot pools. 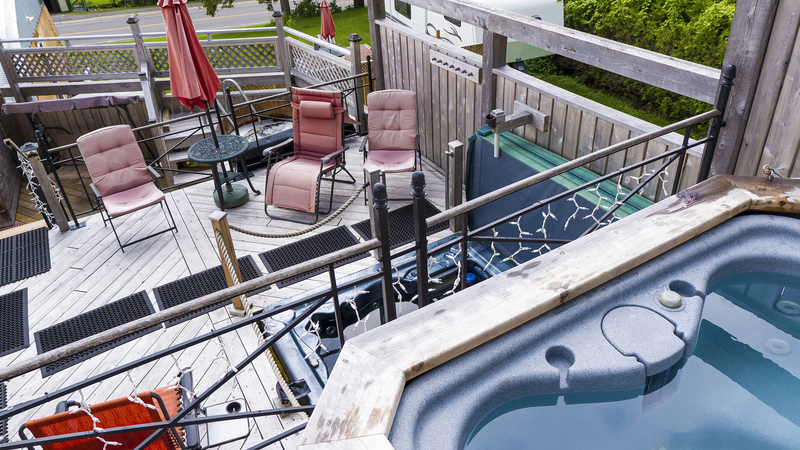 The middle level has a 6-7 person acrylic hot tub. 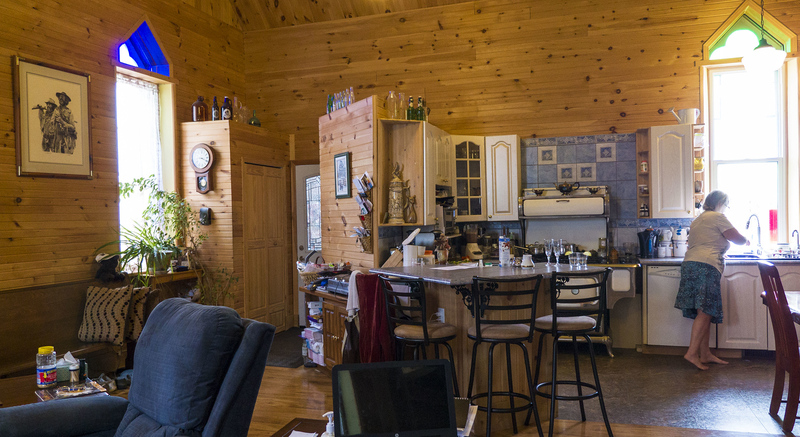 Lastly, the lower level has an Amish built, Finnish sauna and a Finnish style pine hot tub. The spa is quite intimate, tranquil, and quiet. Outdoors, you’ll only hear the sounds of nature and you’ll be surrounded by the green valley. 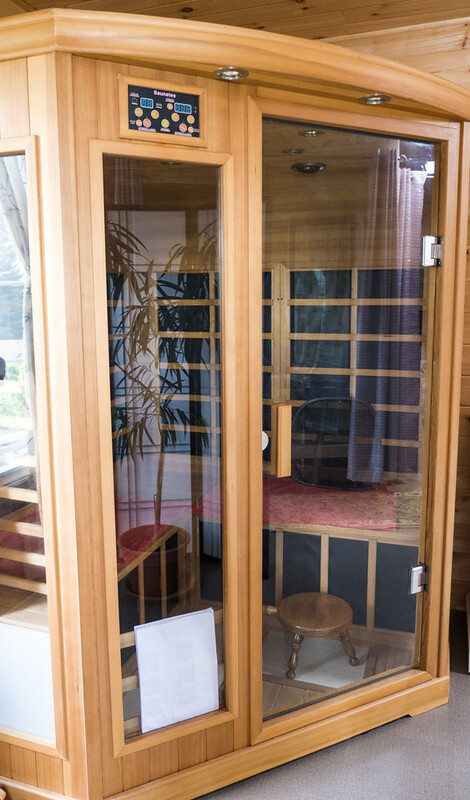 Indoors, you’ll find two infra-red saunas (one cedar and one bassword), as well as a quiet room with spa music and water to stay hydrated. Although this activity is perfect for those Serenity Seekers, I really feel like most people wouldn’t turn down the chance for a relaxing spa day. My favourite way to explore a new place is to go where the locals go. Where do the citizens of Lanark County tend to spend their time on a summer weekend? 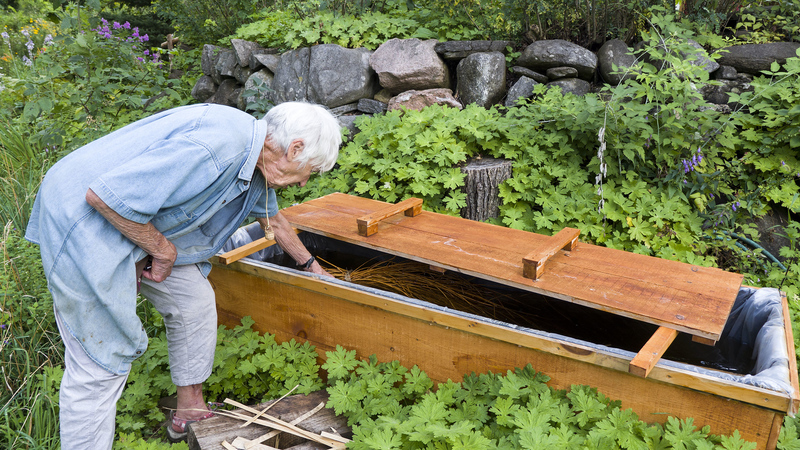 Whether you’re roaming around the countryside or touring around the town of Perth, there are always local events and happenings all summer long that give you a taste of rural living. 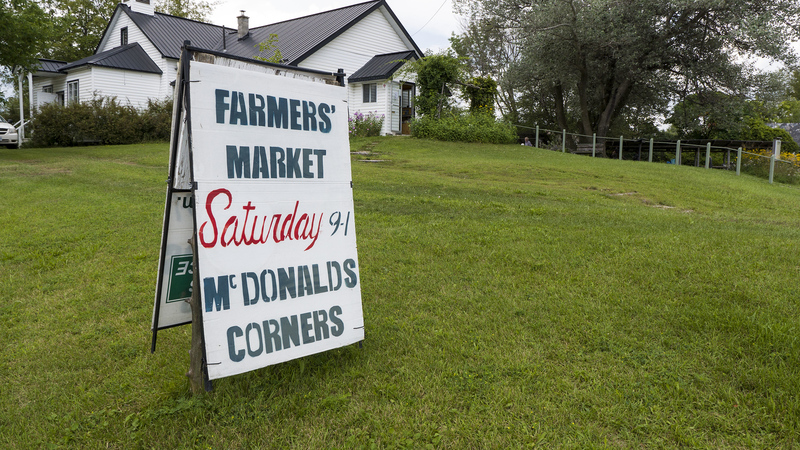 Just a short drive from Circa 1894, we visited the local farmers market at McDonald’s Corners. This happens all summer long between 9am and 1pm on Saturdays. 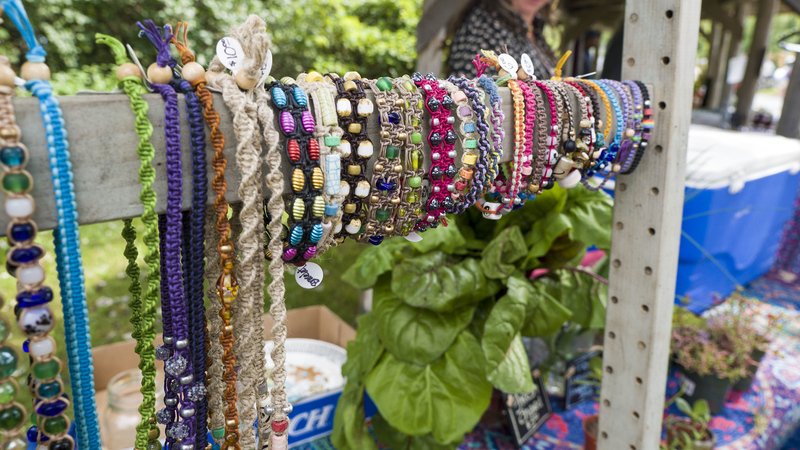 There are lots of local goodies, including fresh produce, locally made pickles and preserves, baked goods, handmade jewelry, and more. 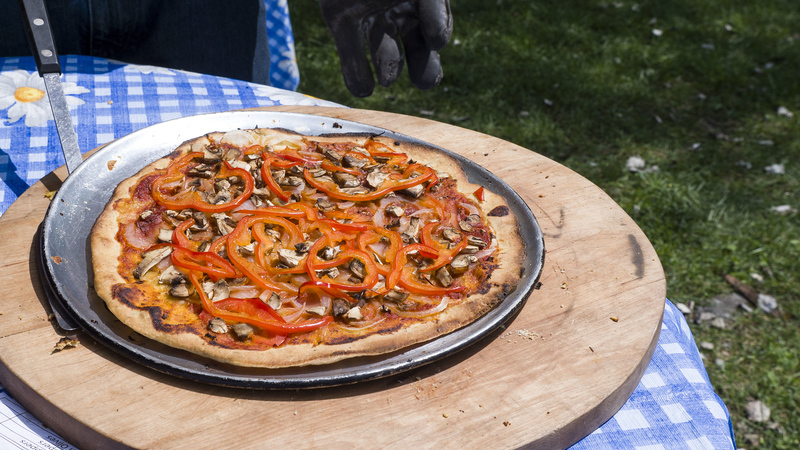 Lindsay and I even ate lunch at the market as there’s a community wood fired pizza oven on site. 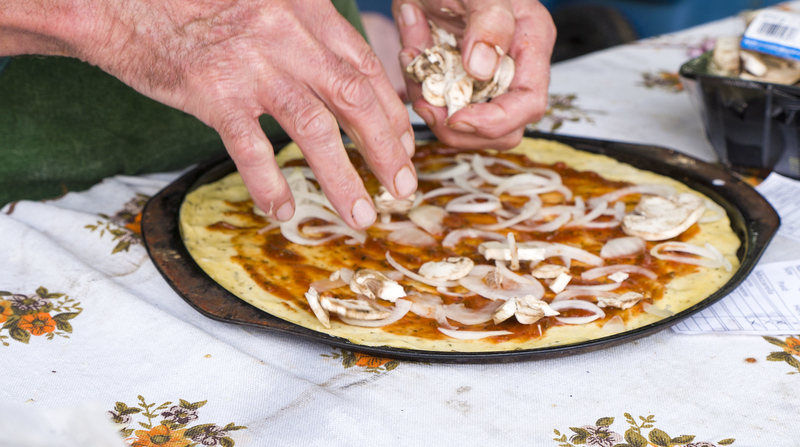 You can request the toppings you’d like on your pizza, and they’ll whip one up for you. I ordered mine without cheese, but with loads of fresh veggies. 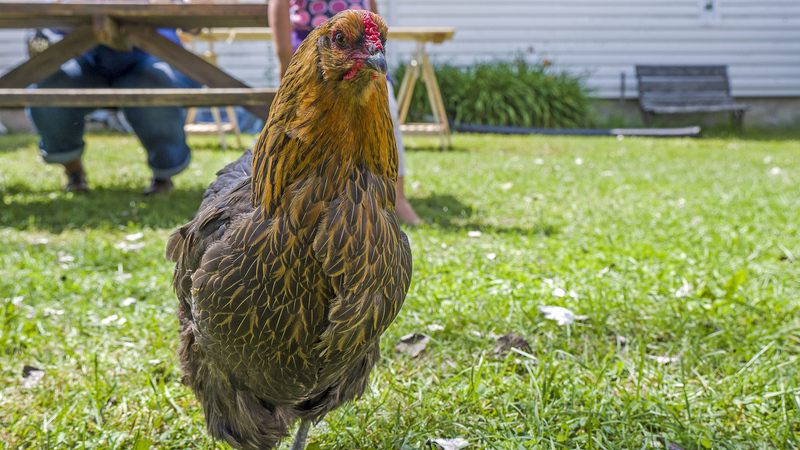 We even met a local celebrity – a pet chicken named Dusty. She’s much beloved by her family and everyone at the farmers market as she makes regular appearances around town. Dusty loved wandering about and even trying to steal little bits of pizza crust. She loved all the attention we were giving her! The Lanark Highlands Basketry Museum is one of the most interesting small museums I’ve ever visited. 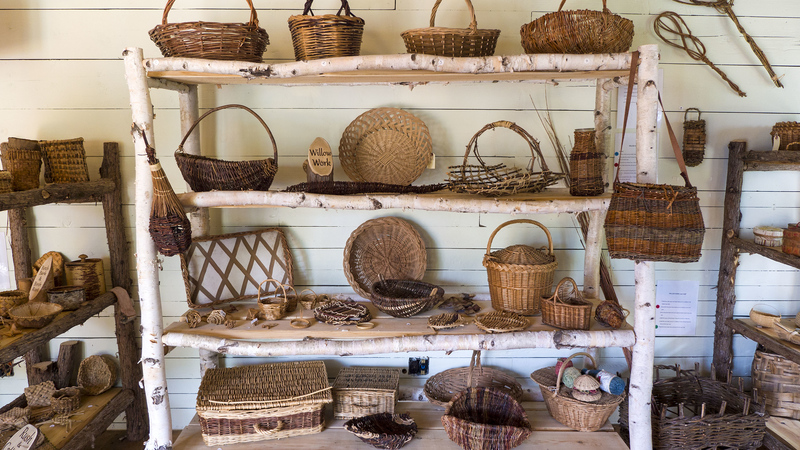 The museum displays only a small percentage of owner Ankaret Dean’s basket collection. She only showcases baskets that could be made in this region and Canada, as there simply isn’t enough space to display all the rest. 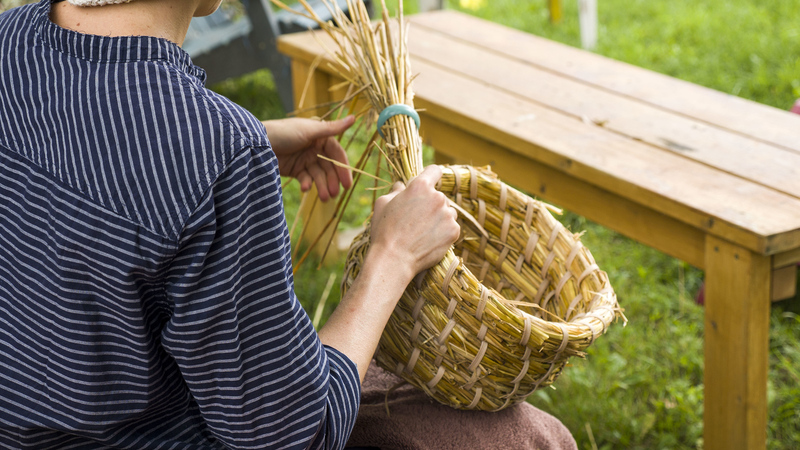 As a graduate from The School of Crafts and Design at Sheridan College, Ankaret Dean has always demonstrated an interest in basketry, as well as weaving and textiles. As it’s really become a lost art in the age of mass production, Ankaret travelled internationally to perfect her basketry skills. 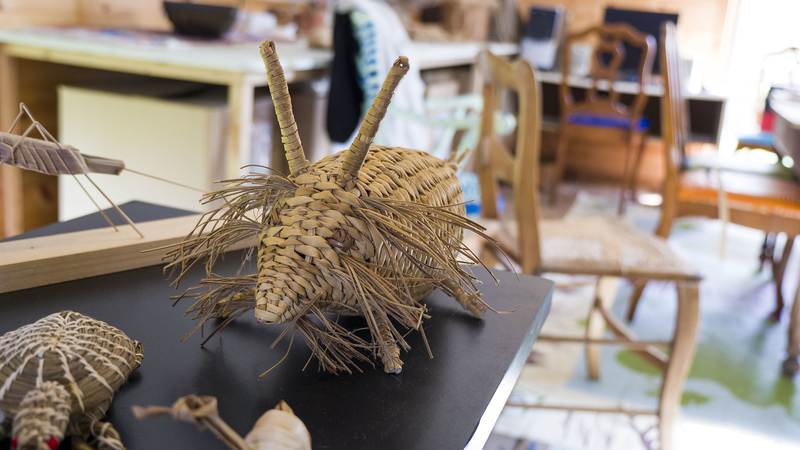 For over 40 years, she’s created baskets out of natural materials that are readily found all around us. 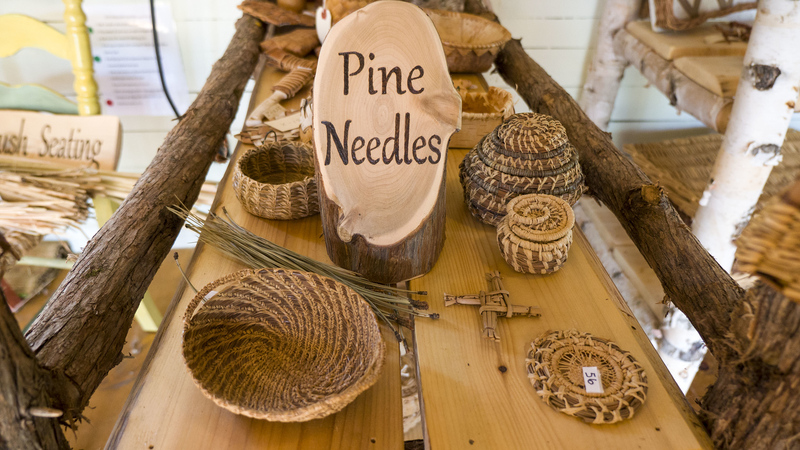 There are baskets made from rushes, willow, pine needles, birch bark, cedar bark, and much more. There’s a studio upstairs with a collection of adorable woven animals. 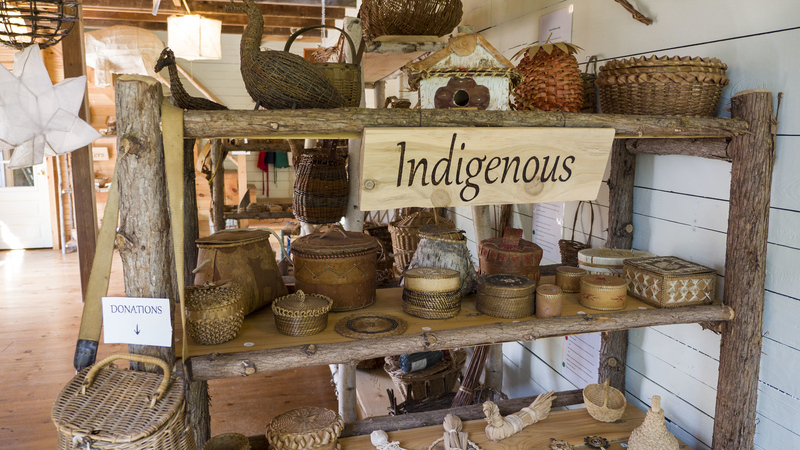 Downstairs, you’ll find the largest selection of baskets, including an impressive array of rare Indigenous baskets. In addition to baskets, there are all kinds of woven items like boxes, birdhouses, jewelry, chair seats, and even an assortment of tiny woven items. I sensed Ankaret’s great passion for her museum and collection of baskets. She gave us a complete tour of the museum, her property, and a student of hers was even creating her own basket at the time. It takes great skill, practice, and patience to make a basket, although Ankaret does lead classes for those who are willing to learn. I hope to travel back here someday so I can give it a try. 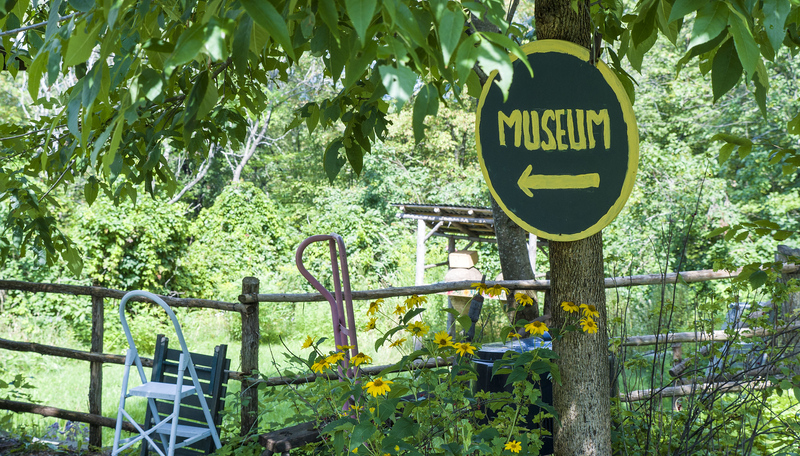 You can visit the museum during its open hours on Saturdays from 11:00am – 3:00pm (May to September), or by appointment. While we only stopped in Perth for dinner, you could easily spend the day wandering around town. There’s a quaint downtown area lined with little shops for some retail therapy. The Perth Wildlife Reserve has a path around the marsh, ideal for hikers and birdwatchers alike. 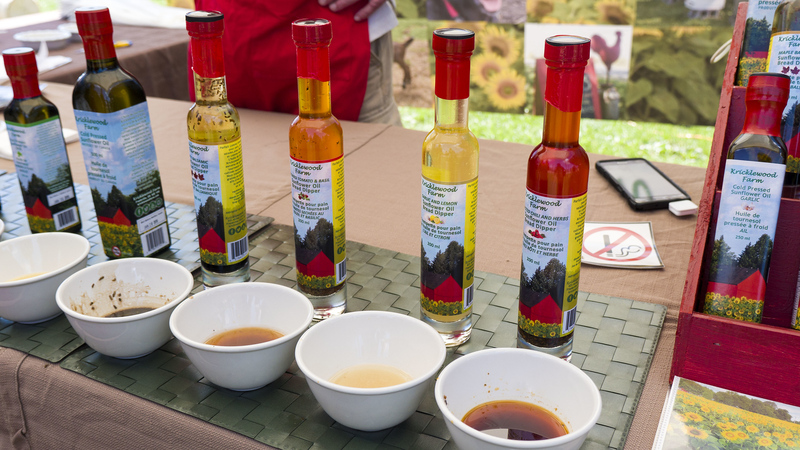 Lanark County is the Maple Syrup Capital of Ontario, and there’s a maple festival every April in Perth. 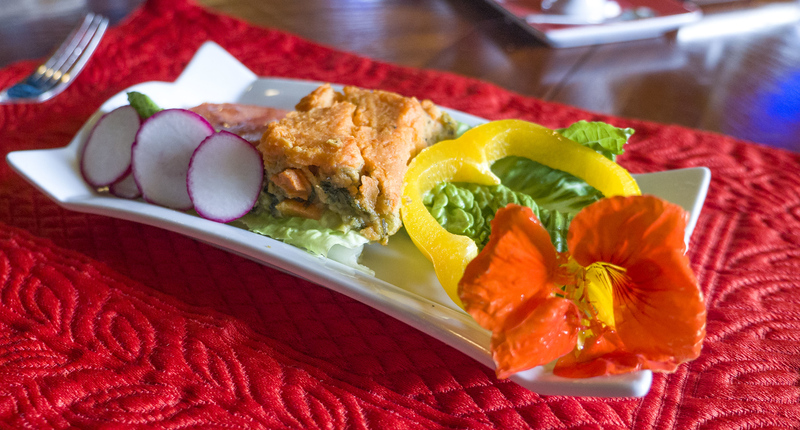 As for dinner, there are a variety of restaurants offering cuisine ranging from pub fare to fine dining. 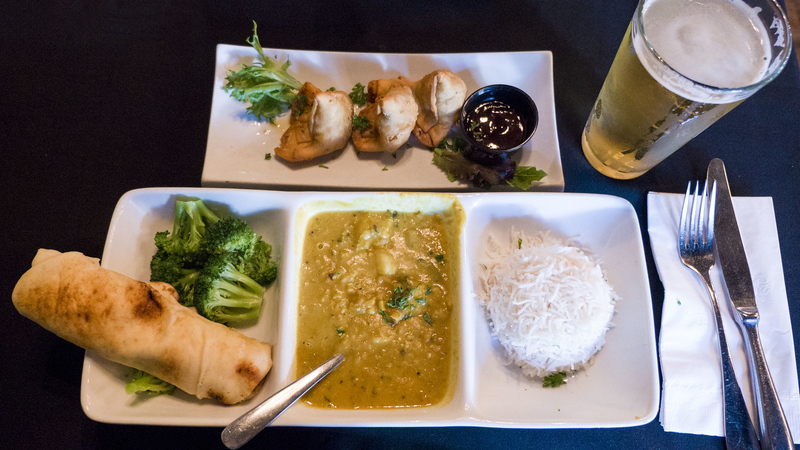 We chose to eat at East Meets West, with a menu of Indian, Italian, and classic Canadian fare. With a local brew by Perth Brewery, I chose from the Indian and Sri Lankan side of the menu. I started with vegetable samosas, and my main course was the Sri Lankan Style Paruppu Curry (yellow lentil and potatoes simmered in herbs and spices, served with basmati rice and naan bread). Definitely go here and try the Indian / Sri Lankan cuisine as it’s perfectly spiced and full of flavour. While it wasn’t the right time of year to attend the maple festival, thankfully it was garlic season in Ontario’s Highlands. 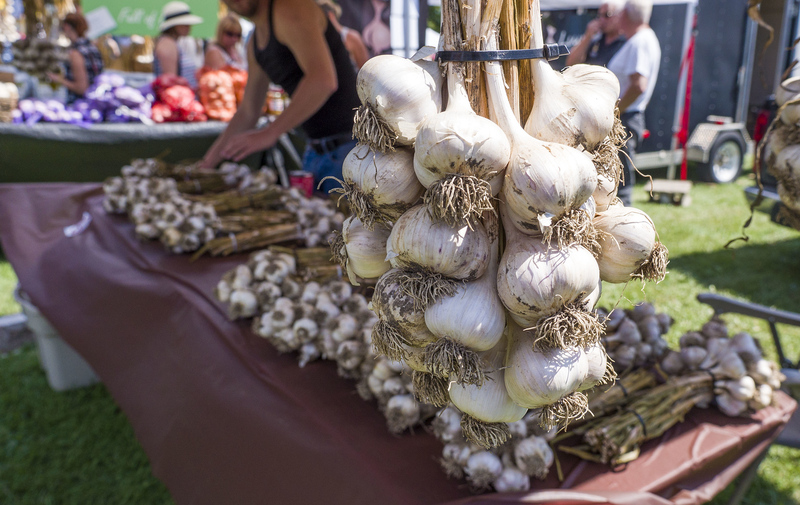 The Perth Garlic Festival is every second weekend in August and it’s truly fun for the whole family. No need to pack the breath mints when everyone has garlic breath, right? First and foremost, it’s a celebration of all things garlic. 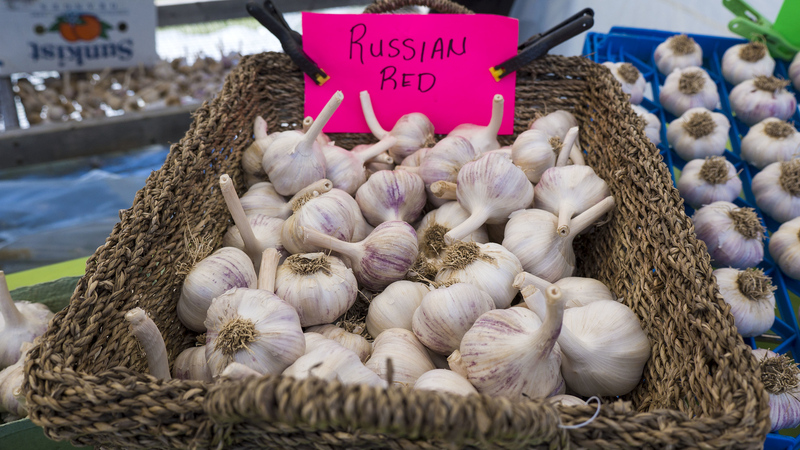 You’ll not only see garlic bulbs, but you’ll find things made out of garlic at the various stands lining the park. There were garlic hot sauces, bread dippers, salad dressings, and more. 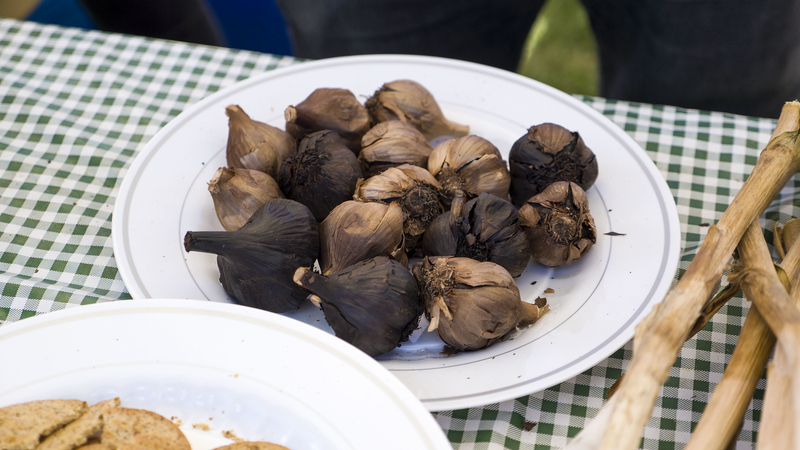 We tried a fermented black garlic that tasted sweet. There were even handy devices to help you peel and chop garlic easier than traditional methods. Like many festivals, there was live music and performances. 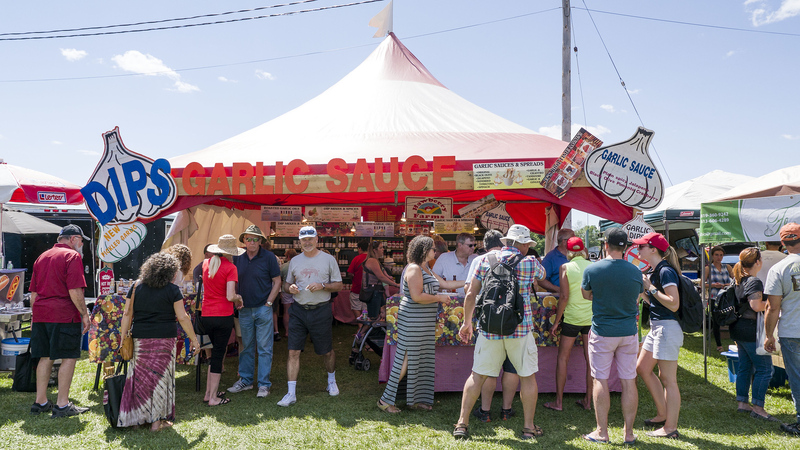 It seemed like the entire town and surrounding communities came out for the Perth Garlic Festival. Everyone was walking around, eating, buying things, and having a fantastic day in the sunshine. We even felt a bit like locals ourselves when we ran into the owners of Dusty (the pet chicken we met the day before at the McDonald’s Corners Farmers Market), and we sparked up conversations with numerous people. Everyone was so friendly and truly made us feel right at home. 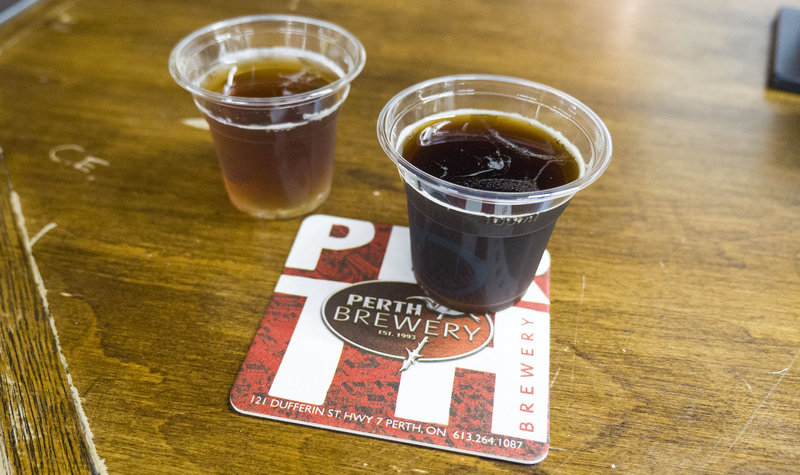 In addition to garlic food, we also tried a special garlic beverage… garlic beer brewed by Perth Brewery. Have you ever tried garlic beer? Me either! It actually tasted pretty good, like beer with a bit of a garlicky aftertaste. It’s a seasonal beer brewed specially for the festival, so you’ll have to come out next year and give it a try if you haven’t already. 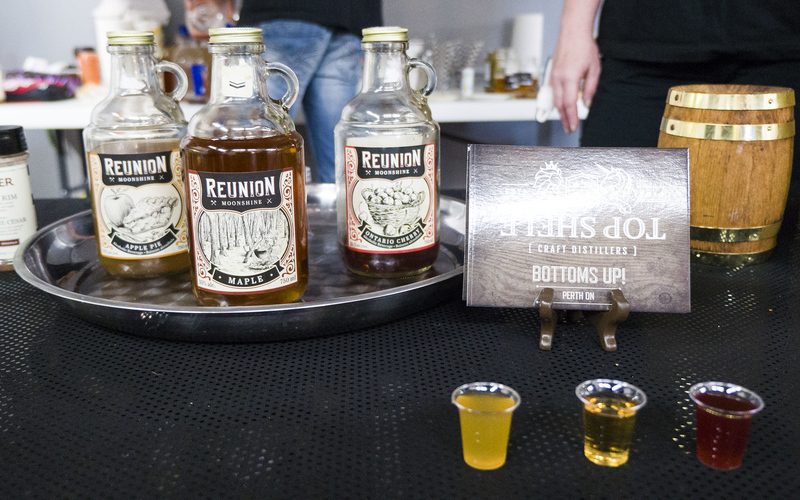 Along with the beer tasting, Top Shelf Craft Distillers and a local winery provided tastings at a nominal cost. 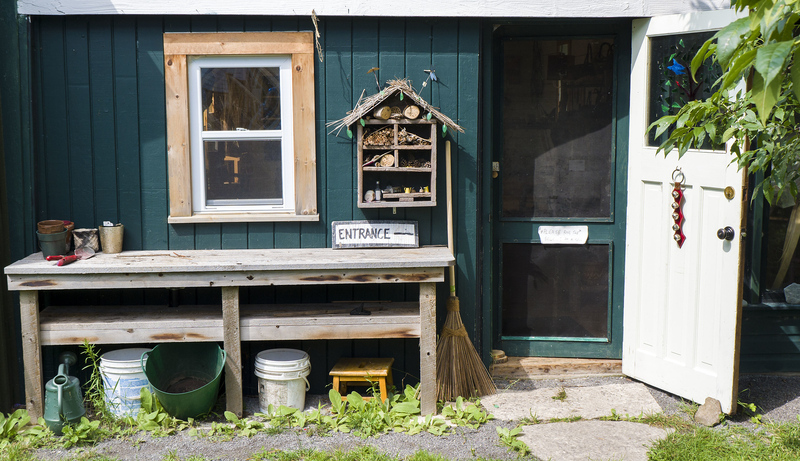 Lanark County is just one area you can explore in Ontario’s Highlands. You can check out all of the possibilities at Come Wander, according to your interests and the type of wanderer you are. To see more photos from my trip to Lanark County, please check out my Ontario’s Highlands travel photo album. Thank you so much to Ontario’s Highlands for inviting me out to wander! All opinions, as always, are entirely my own. I’ve visited Ontario twice in the last two years, last time my husband and I drove along the banks of the St Lawrence, which means we missed out on the Ontario Highlands. We just couldn’t see everything we would have loved to see in the time, but this is great as it gives us the excuse to go back soon! Such a lovely article. I especially liked the part about the garlic festival and the maple syrup festival. I have to get my hands on some garlic beer :D We’ll have the pumpkin festival here soon again and there they serve pumpkin beer. You made some really beautiful pictures as well. Ontario is so bog and has so much to explore! I’d not previously heard the term “Ontario Highlands” until this past week. Is it a new term? I have been to some of the region and loved it. Sounds like you had a great time. Circa 1894 B&B and Spa looks like a great place to relax and having fresh vegan breakfast made daily sounds delicious! The farmers markets look yummy too! 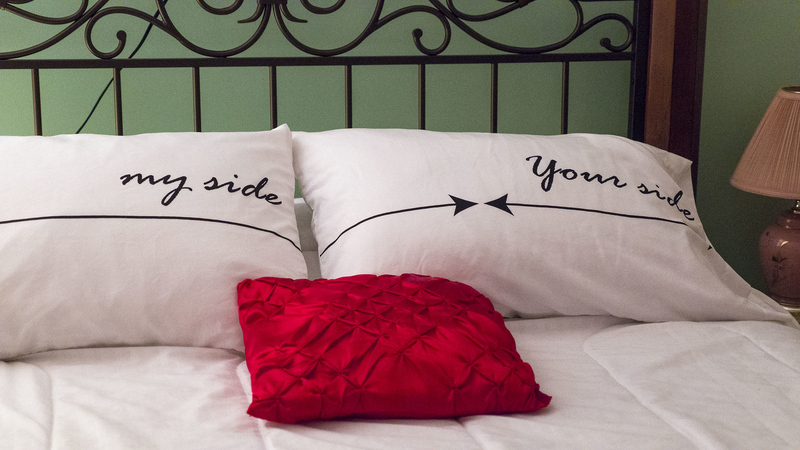 I am definitely a Freedom Finder – I love that giveaway! I’ve got my fingers crossed. What beautiful photos and amazing descriptions in your post! I’ve always wanted to travel around Canada but now I’ve got a new destination to add to my bucket list. Thank you so much for sharing such wonderful experiences! Haven’t considered Ontario! 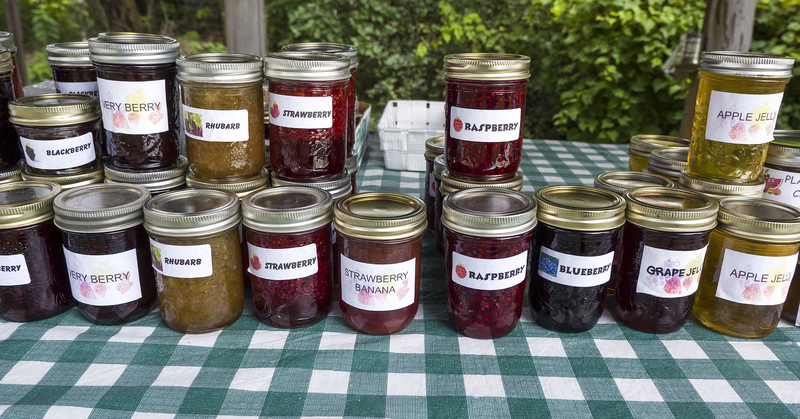 Love the country feel, the jam, the baskets the entire farmers market really. What a great find! When I think of Canada, I think only of Banff. I didn’t think Ontario would be worth it to visit. You proved me wrong, though. Would love to visit someday! We’ve never been to Ontario, or indeed much of Canada, but we love the few places that we have been. Toronto is one of my favourite travel stops to date. I would love to go back and explore more. I love how we went to the same region and saw totally different things. Now I want to do your trip! 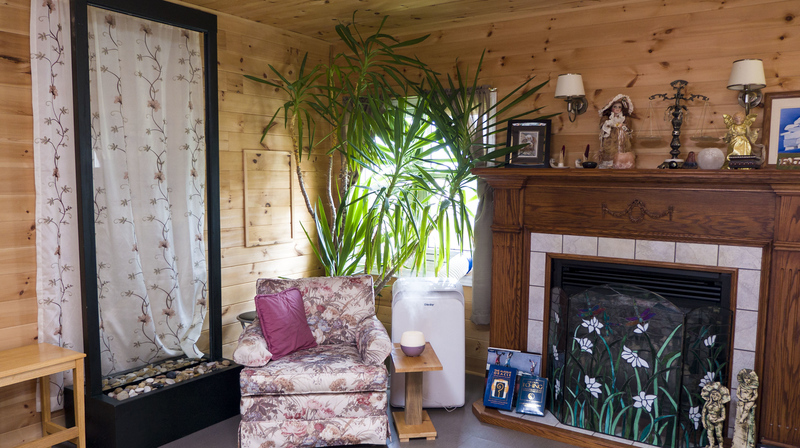 Hey, I think Ontario’s Highlands is a perfect place for me – I am the serenity seeker! What a lovely place with all the greenery. Thanks for cool tips to do : many people think there is noting to do in rural regions, but you managed to prove the opposite! I’ve never thought of Ontario as having Highlands, but clearly I’ve been missing out! It looks really lovely! I would love to be there for the garlic festival. I’m a HUGE garlic fan, so that would be perfect for me! I’ve never been in Canada but always wanted to go. And I’m a rustic roamer :D I love how you classified each persona there. And the airbnb! I always love the log cabin type resorts. How much is it per night? You made me miss my days in Ontario…. It is a beautiful part of our country. Thanks! 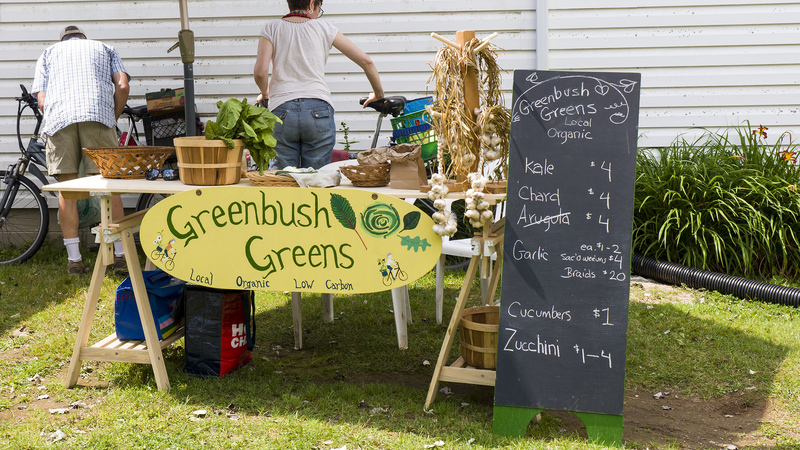 Lovely write-up of some of what we have to offer here in the Lanark HIghlands, Lauren. It was a delight to host you and we appreciate mention in your blog. Thanks so much. 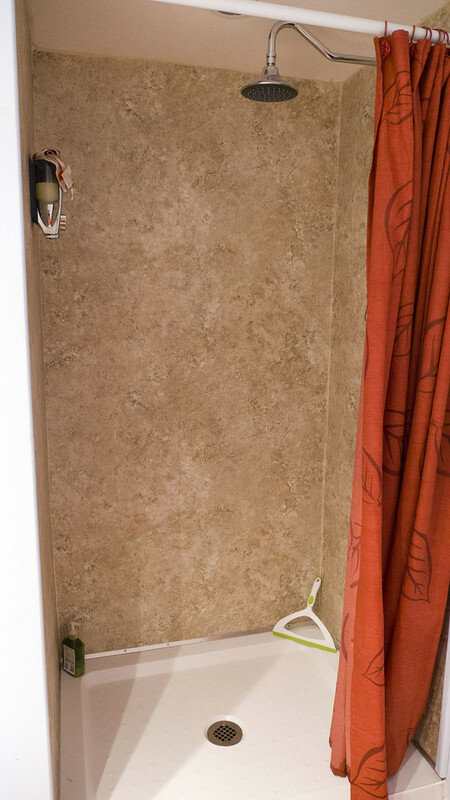 One of the commentators asked about our rates…$125 – $150 per night for up to 2 in a room (we have 3, plus 2 RVs), which includes breakfast and use of the Spa facilities. Find us at circa1894.com and on facebook.